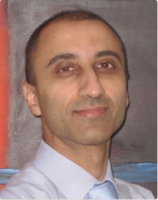 I have been a consultant cardiologist and Electrophysiologist for 10 years and have extensive experience in the treatment of all heart rhythm problems. On the NHS, I work at the Barts Heart Centre, St Bartholomew's Hospital which is now the largest cardiac hospital in Europe. I am one of the highest volume operators here and my outcomes are audited monthly. I am committed to ensuring that all my patients receive the highest standards of care using the most up-to-date research and technologies. I always endeavour to ensure that my patients have a clear understanding of their heart problem and the exact steps that are involved in their treatment. Management of arrhythmias in heart failure and primary cardiomyopathies. Techniques for performing catheter ablation procedures with minimal or zero X-ray usage. Complex pacing techniques. Catheter ablation of ventricular tachycardia. Please look me up in PubMed or Google Scholar. I continue to publish regularly in several areas.